Hall of Femmes aims to highlight the work of women in art direction and design. The project was founded in 2009 by Samira Bouabana and Angela Tillman Sperandio. It includes lectures, exhibitions, interviews, podcasts and the publication of the Hall of Femmes book series, each book portraying a designer and her work through in-depth interviews and previously unpublished images. The project started as a personal desire to find female role models in graphic design, a field where women’s contribution to developing the profession had not been documented or had enough recognition. Angela and Samira travelled several times to New York to meet up with a few of the female giants of the design world. They talked to them about work and career opportunities, about mentorship and what it’s like to be a woman in the design world. These conversations have been transformed into a series of books . The first book, about Ruth Ansel, published in 2010, was followed by seven additional books: Carin Goldberg (2010), Lillian Bassman (2010) and Paula Scher (2011), Tomoko Miho (2013), Janet Froelich (2013), Lella Vignelli, (2013) and Bloggboken (2013, in Swedish). In May 2013, Hall of Femmes produced a two-day design conference Design Talks, with prominent speakers from the world of visual arts, design, communication and fashion, held at Moderna Museet in Stockholm. Book signings have been arranged at Danziger Gallery and Art Directors Club in New York and the project have been written up in magazines like The New York Times Magazine, Creative Review and Vanity Fair. 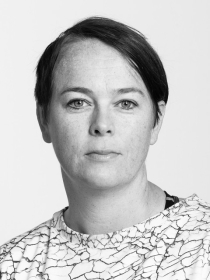 Malin Zimm is an architect PhD and Research and Analysis strategist at White arkitekter. Zimm was engaged as Senior Advisor in Architecture at ArkDes (Swedish Center for Architecture and Design) between 2010 and 2014. From 2007 until 2009, she was editor-in-chief of the architecture magazine Rum. Zimm completed her doctorate studies at KTH School of Architecture in 2005 with the thesis Losing the Plot – Architecture and Narrativity in Fin-de-Siècle Media Cultures, investigating pre-digital virtual architectures as found in literature and early cinema from late 19th Century. Zimm is a contributor to Swedish and international architecture magazines and publications since 1999. Zimm’s research interests include the development of the subject of architecture in relation to society, technology and media cultures. Malin Zimm is the editor of Hall of Femmes: Barbara Stauffacher Solomon (2016).